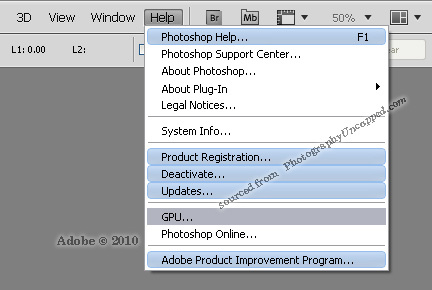 Previously Updated: Some websites are posting supposedly ‘leaked’ screenshots of Adobe Creative Suite 6, and Photoshop CS6 workspaces. 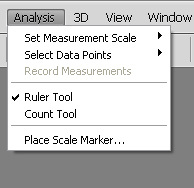 These are not to be trusted. 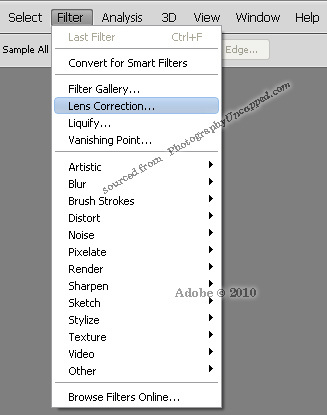 PhotographyUncapped will not publish any illegal screen grabs, or other images, until the official Adobe CS6 announcement. 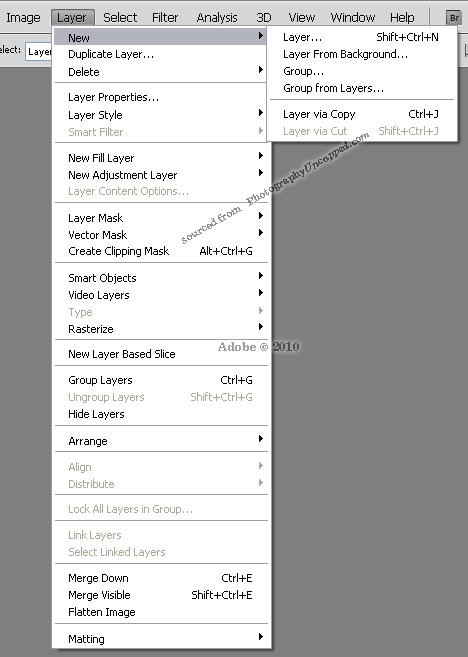 See Adobe CS6 for the latest news. 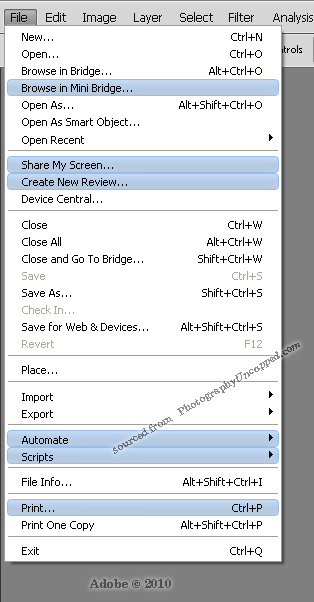 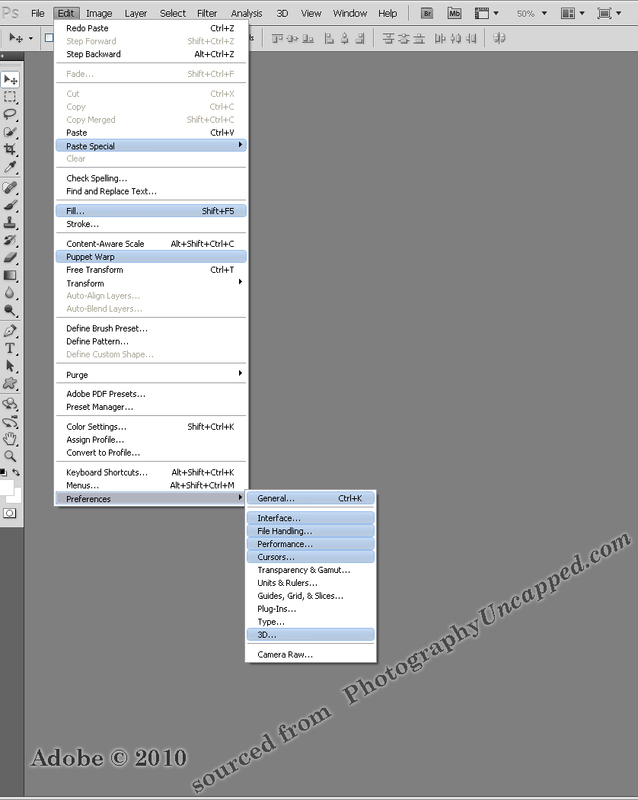 Adobe Photoshop CS5 + CS5 Extended screen shots, screen grabs, workspaces, menus. 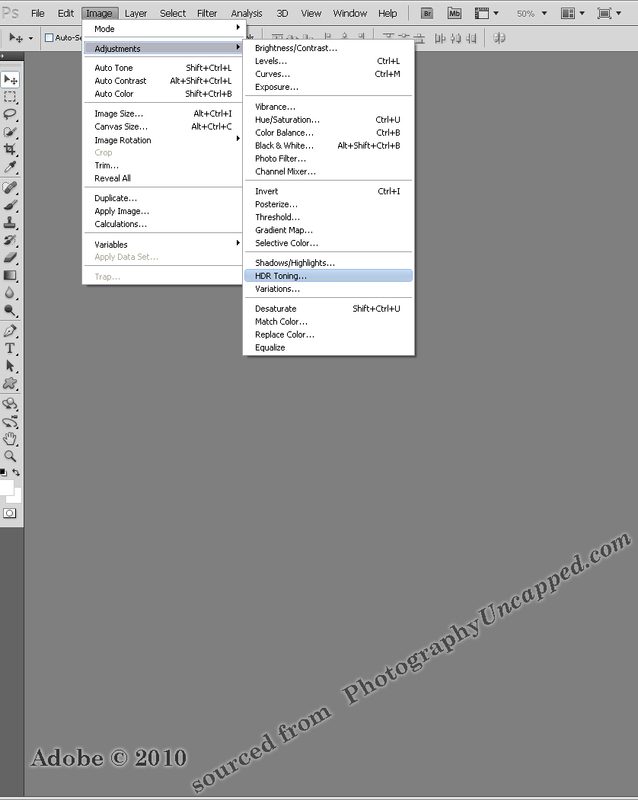 What does Photoshop CS5 look like? 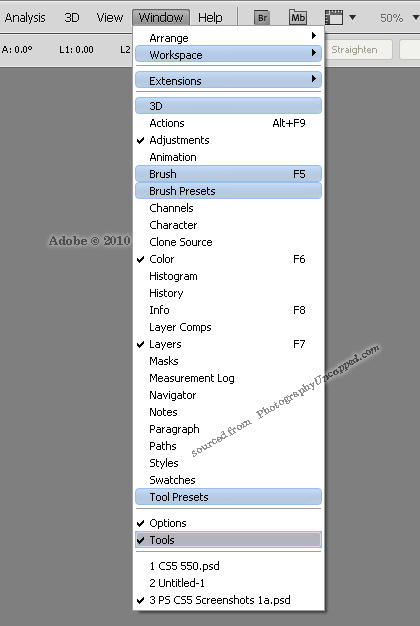 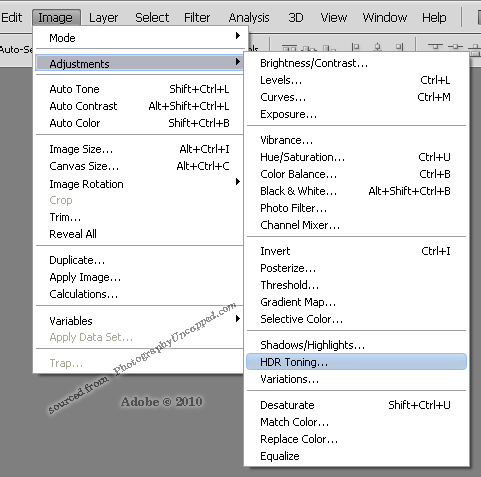 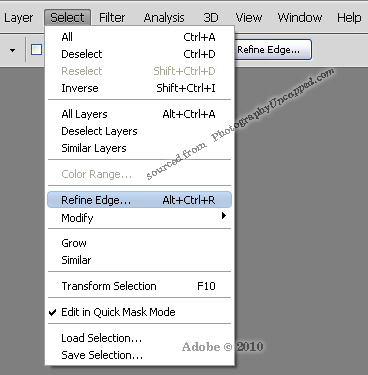 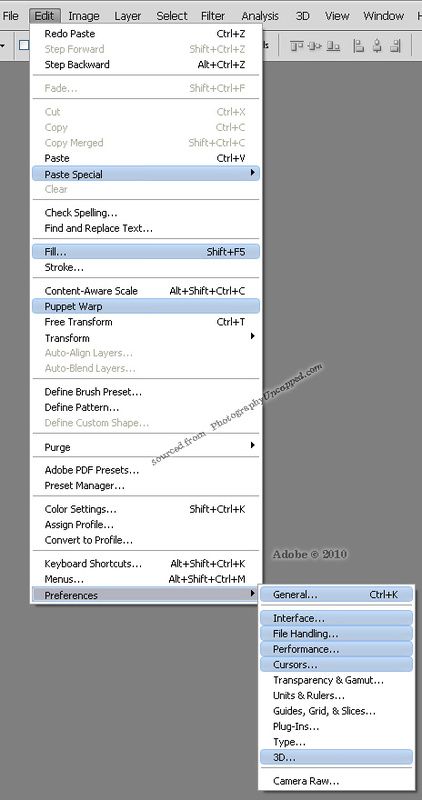 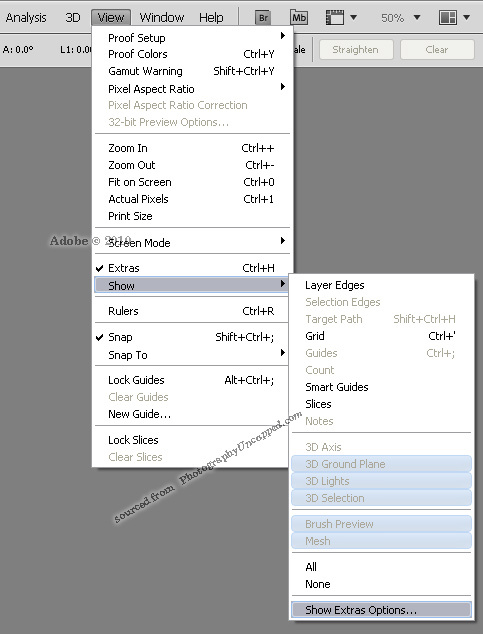 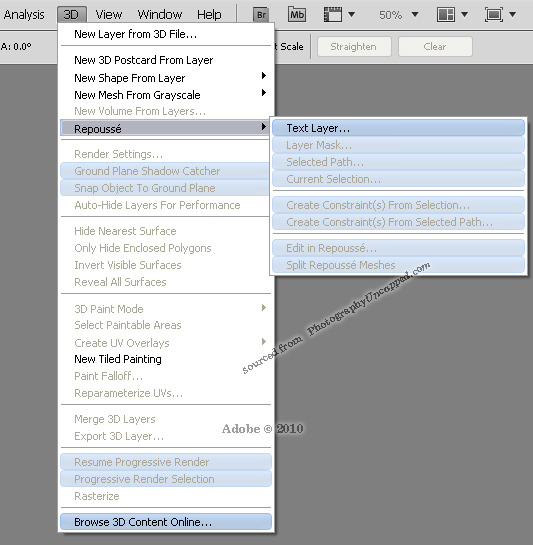 Adobe has added numerous ‘What’s New in CS5’ features to Photoshop CS 5 and Photoshop Extended. 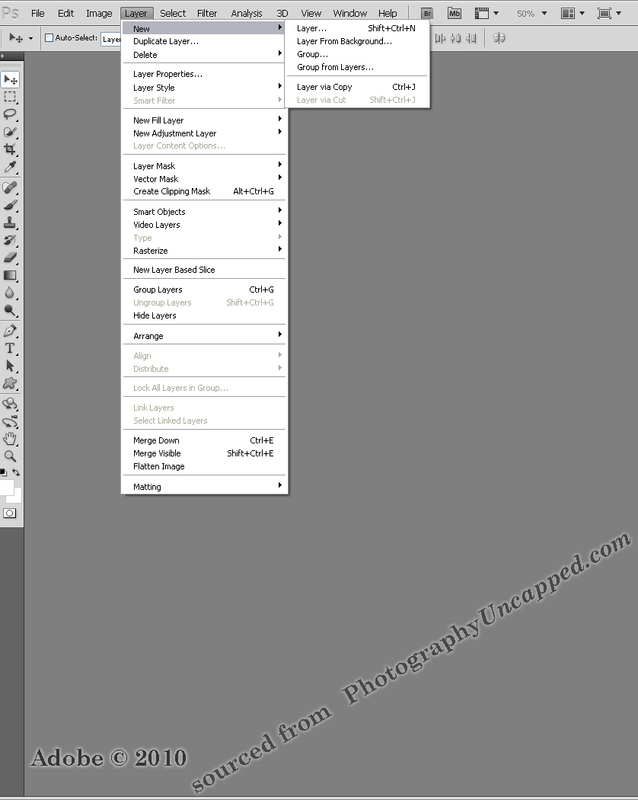 Looking at screen captures of the Menu items is a quick way of seeing what and where the New Features are. 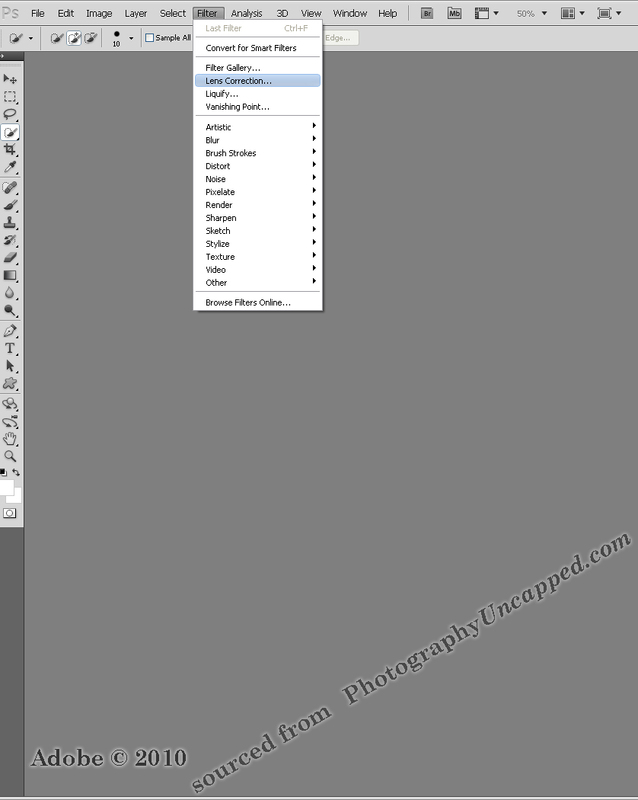 Items in Blue are New or in New Locations. 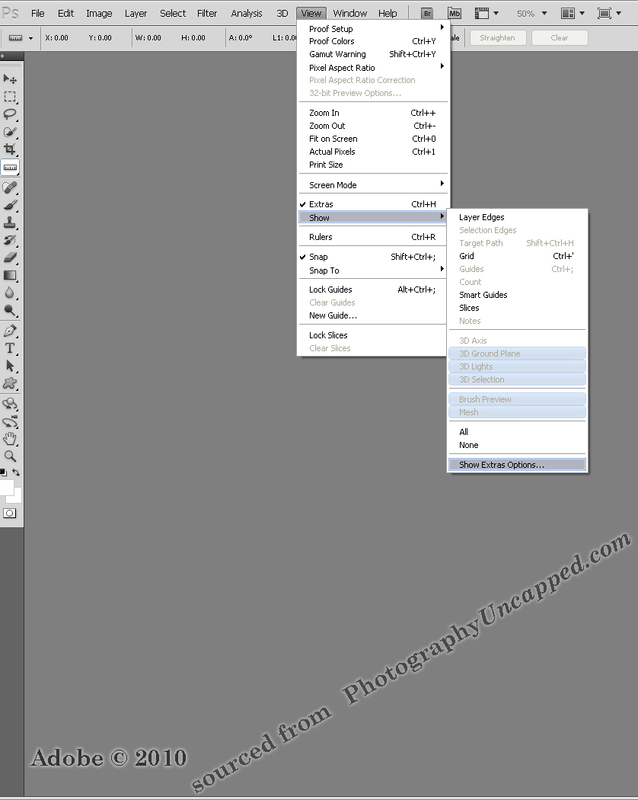 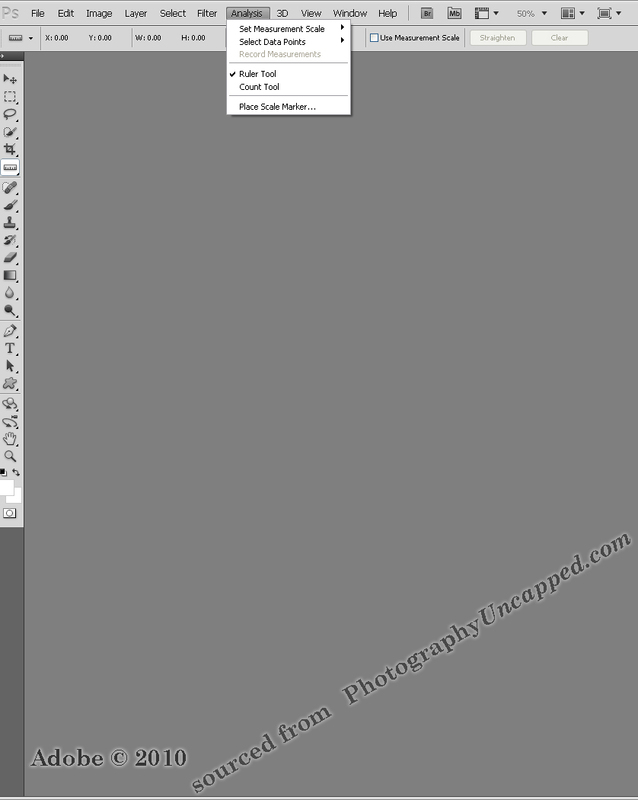 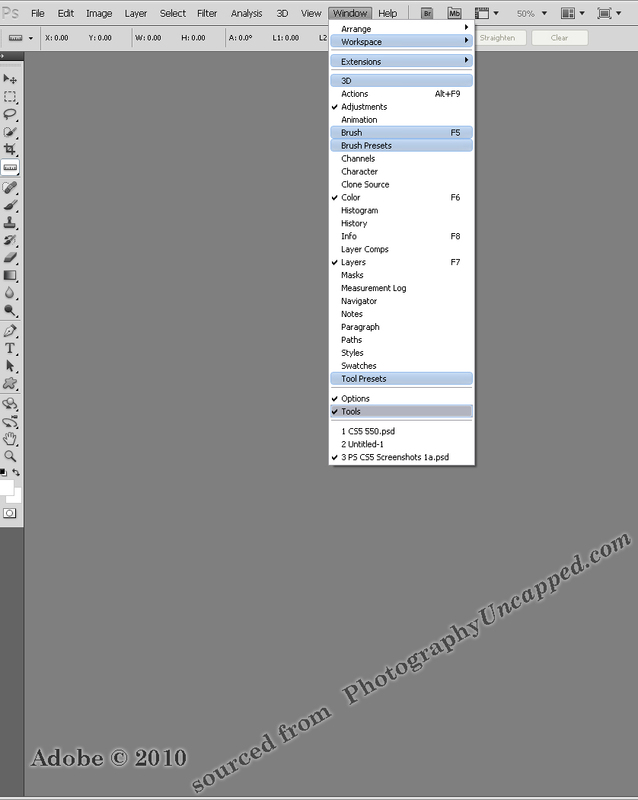 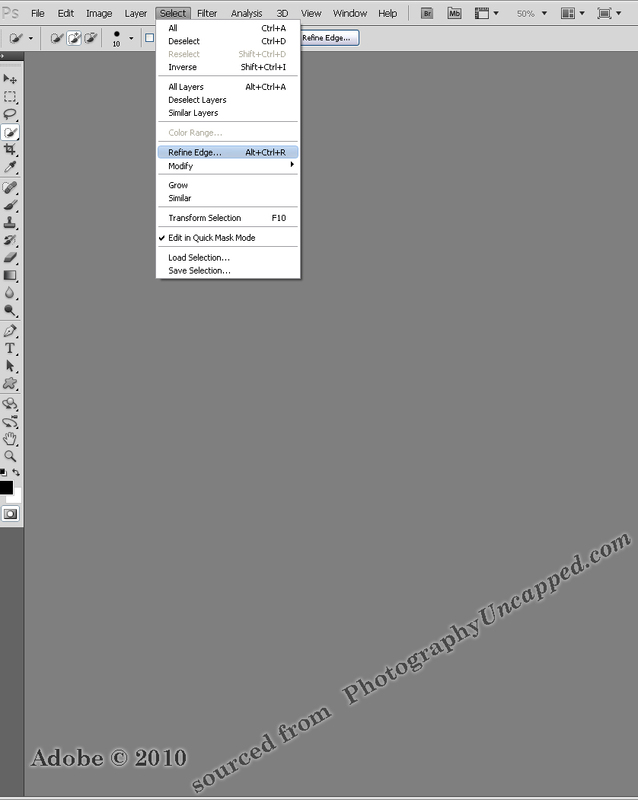 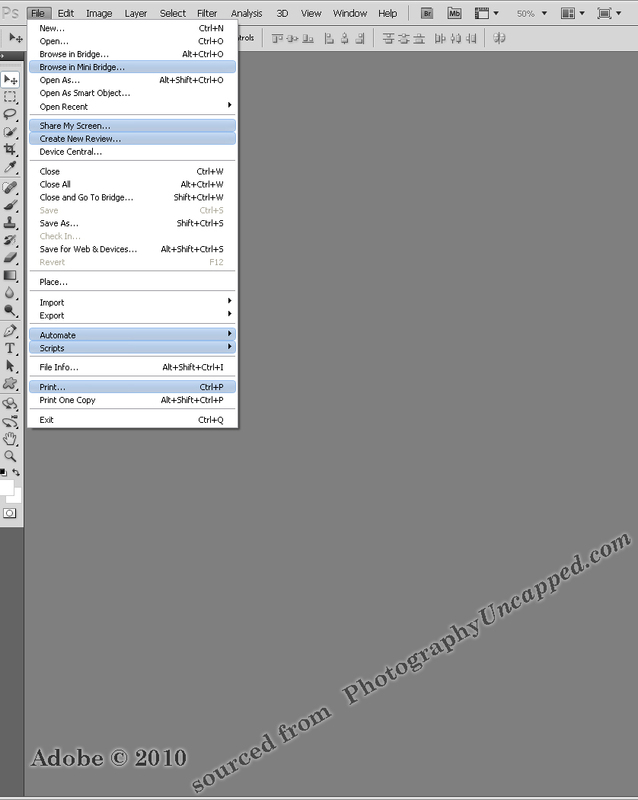 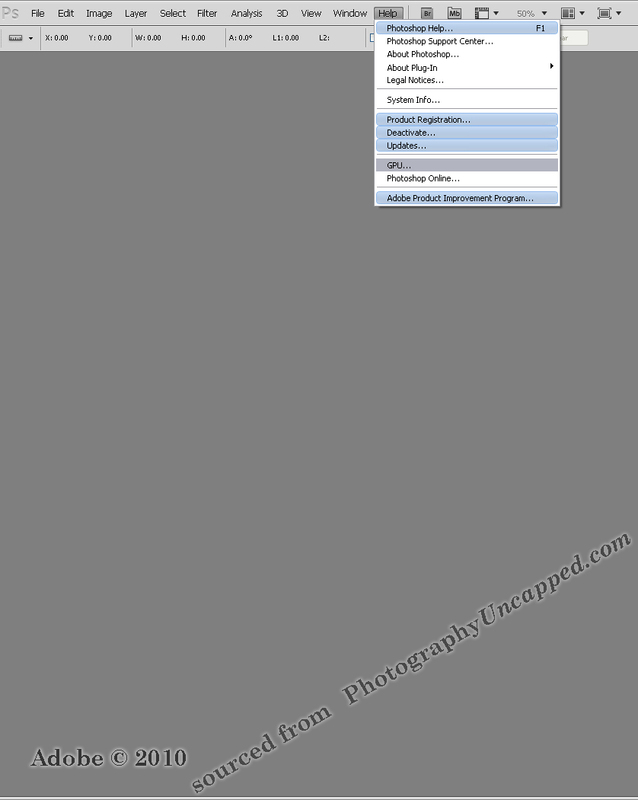 These are direct print screen screenshots of Adobe Photoshop CS5 and CS5 Extended. 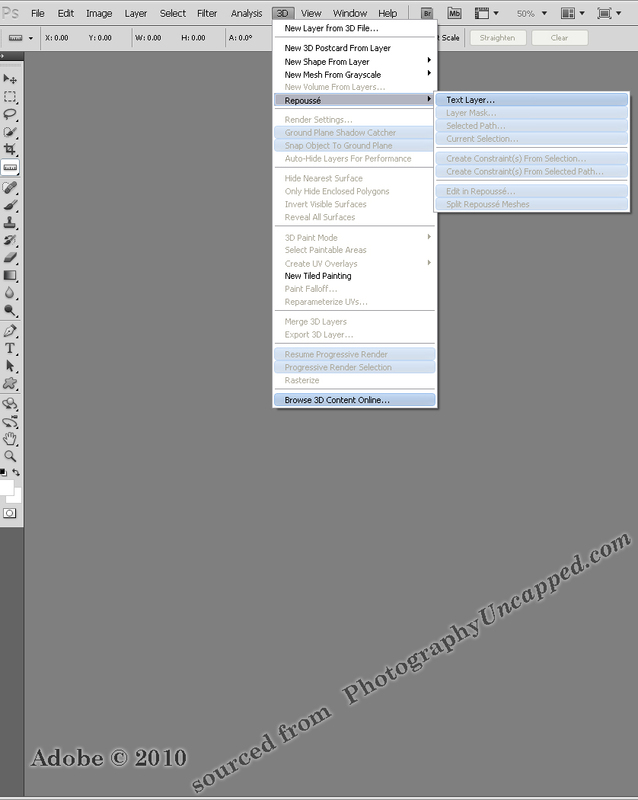 Click on the images to see a full sized screen capture in a new window.